"Easy dropshipment with vidaXL dropshipping for Lightspeed eCommecrce"
Do you have a Lightspeed webshop and want to sell product of vidaXL? 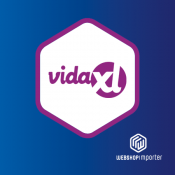 With the vidaXL dropshipment connector you can easily synchronize your product data feed with your Lightspeed webshop. You can easily provide your shop’s customers with up to date information, prices and stocks that vidaXL provides. VidaXL is an international online company specialized in selling Home, clothing, garden, garage and do it yourself related consumer products. After signing up with a vidaXL account and installing our app you can start importing data from vidaXL to your Lightspeed online store (note: You need to apply for their product XML data feed). 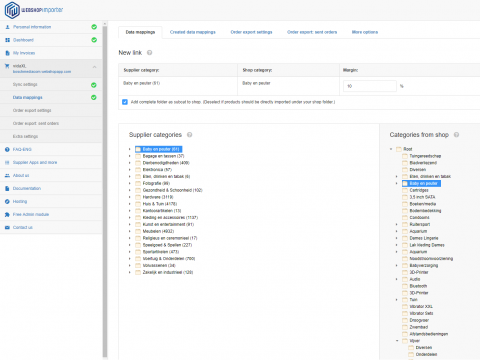 You can define your own price margins, clone categories, product names or descriptions or edit them to your own preference. The import system will take care of the rest! Register for an account with vidaXL. 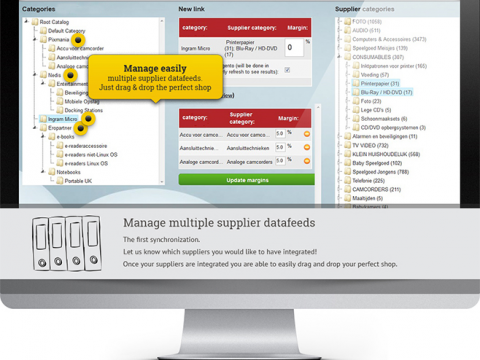 Sign up for their product datafeed export. Buy our vidaXL connector for Lightspeed. Our import solution daily synchronizes your supplier’s product data. In contrast to a single import your products will be always kept up to date. 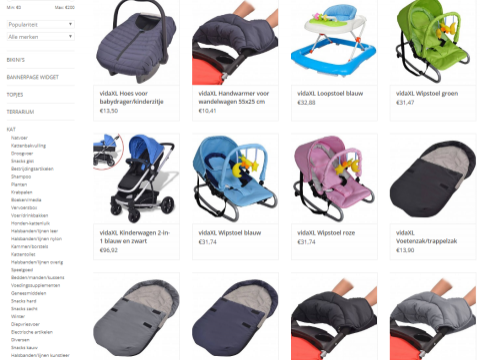 Thanks to a clear and intuitive graphical interface you can easily create your unique product catalog. Easily define profit margins on the selected data that needs to be synchronized with your Lightspeed shop. Import standard product data or override standard text fields with your own unique title, descriptions. You can also define what vidaXL data to sync or not for maximum flexibility and an optimized business process. This app is offered with a flexible pricing structure to scale your e-business. Startup: 0-2500 producten - 19.95€ p/m. vidaXL offers a deep variety of products in the categories Home, clothing, garden, garage and do it yourself related consumer products. You You can review their product catalog here.